Learn Korean - Korean From Zero! by KoreanFromZero.com - Learn Korean! What will this tutorial do? 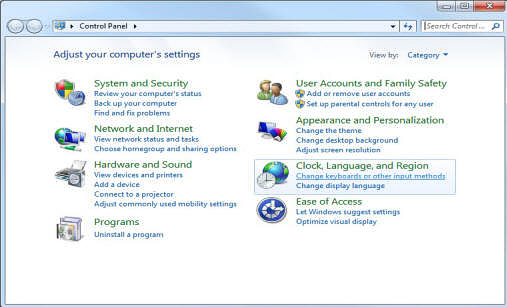 This tutorial will show you how to install Korean typing and display ability for ALL programs running on all versions of Vista and Windows 7. 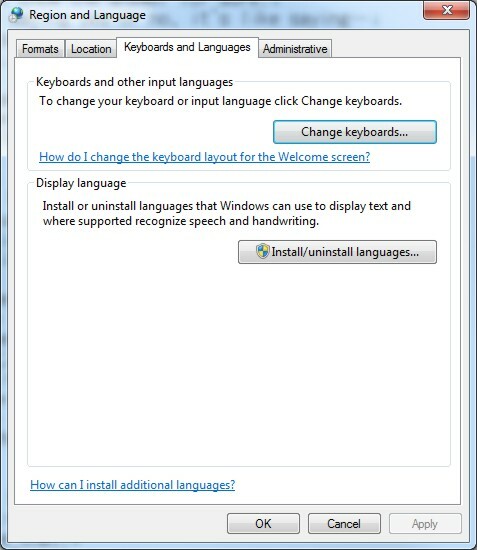 These steps also make it possible to install programs written in Korean originally intended to be installed on the Korean version of Windows. 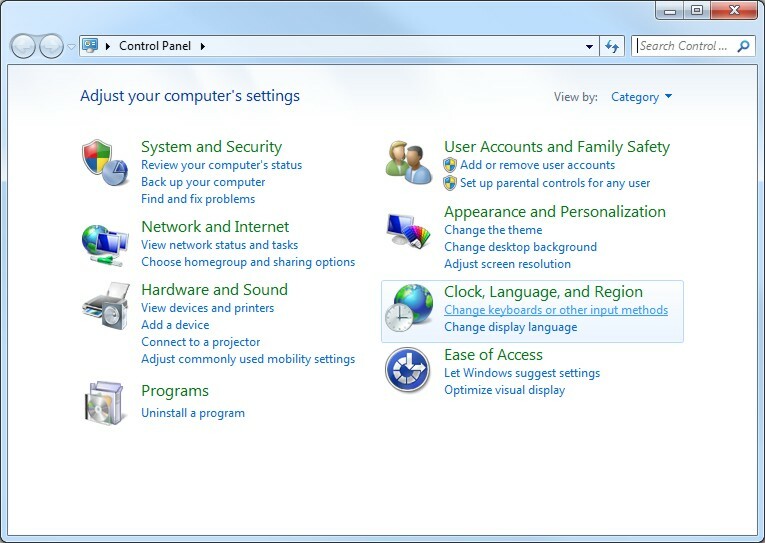 In the Control Panel click on the "Change keyboards or other input methods" option. You can also find this option by clicking the start button then typing "input". There are 4 tabs on the top of the "Region and Language" window. Click on the one labeled "Keyboards Languages". Then click the "Change keyboards" button. After clicking the "Change keyboard" button the following screen will display. 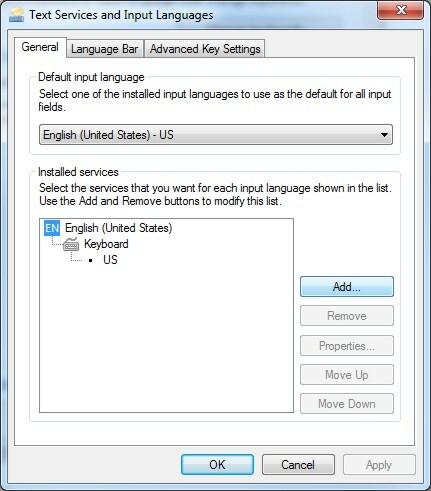 Click the "Add" button to add Korean input capability to your Windows 7 system. After clicking the "Add" button on the windows above the following screen will display. Scroll down to Korean. In the Keyboard section section choose "Microsoft IME" and then click "OK". NOTE: "IME" stands for Input Method Editor. IME is what gives your computer the ability to type Korean. This is an OPTIONAL step. After completing step 4 you will still be in the "Regional and Language" window. From here click the 4th tab on the top labeled "Administrative". Clicking this tab will display the following tab. This tab is the MOST IMPORTANT tab if you would like 100% Korean support in all programs installed and or wish to install Korean programs on your computer. Click on the "Change system locale..." button. and try to install the Korean language version. If you can't read Korean this might hinder your productivity a bit. You can always change this setting back to English, the install the software again. After installing you can change this back to Korean so your other programs that require Korean locale still work. After clicking the "Change system locale..." button. The window below will pop up. Here you select "Korean (Korea)". Now your computer can display and type Korean in all programs installed. Open up Office Word, Word Pad, Note Pad to test typing in Korean. With your cursor placed on a new document somewhere on your screen you will notice a Language Bar. Click the "EN English" and then select "KO Korean (Korea)". This will change the Language Bar's appearance. You do not need the language bar on the screen at all times to type Korean. In step 9 you will learn some very handy shortcuts that allows you to keep the Language Bar hidden. To minimize the language bar right click on the far left portion of the language bar and click "Minimize". 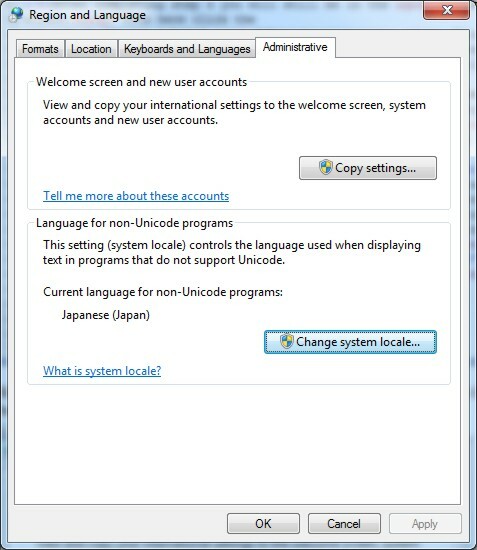 This will put the Language Bar near the clock in the Windows 7 task bar. From there you can easily change your input language. 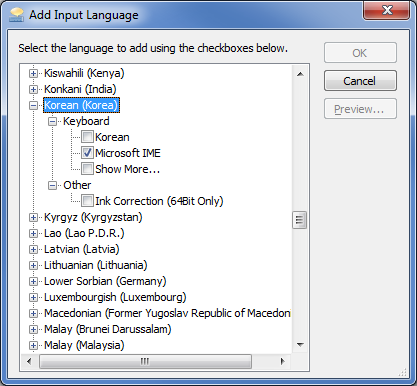 In any text editor or Office application you can now type Korean. Make sure that you have selected Korean in the Language Bar. Unlike Chinese and Japanese you don't type Korean using roman letters. Instead you type each part of the hangul character. However western keyboards don't have hangul on them so you won't know which key to push. 2. Purchase Korean hangul keyboard stickers for your existing keyboard. 3. Print a free Korean keyboard layout. Once you are in the correct input mode in your document, let's type a practice word.br /> Let's type the Korean word 하다. Even though this is "H-A-D-A" this is NOT how you will type it. Instead you will type the keys "G-K-E-K". An incomplete character will be underlined. You do NOT have to do anything to complete a character. If you don't have any typos the character will complete automatically as you type. If you hit space the character will complete automatically. You do not have to choose the correct hangul from a list when typing Korean. As long as you keep typing and don't have any typos the proper hangul will display. If it doesn't display properly... you have made a mistake in your Korean. A big pet peeve of mine is watching people change the language bar settings by manually clicking on them. It's time consuming if you are switching back and forth a lot. You can easily switch language options and even input methods with the following short cuts. 1. Change to another language on the fly. If you have other languages installed, this will cycle through each on. NOTE: Only the RIGHT side ALT key works to change the input type. This is handy if you are already in Korean input mode and want to switch back and forth between typing English and Korean.